SANTIAGO MATATLÁN, Mexico – Once derided as a drink for destitute drunkards, Mexico’s smoky-flavored mezcal liquor has come out of the shadows to become a trendy booze in fashionable bars from Mexico City to Sydney. The booming demand for tequila’s less known ancestor may even be too good for the cactus-like plant that’s used to make mezcal, maguey, which is now in high demand for a variety of products. In the southern state of Oaxaca, mezcal’s heartland, producers still use rustic tools to make the spirit in small distilleries known as palenques. 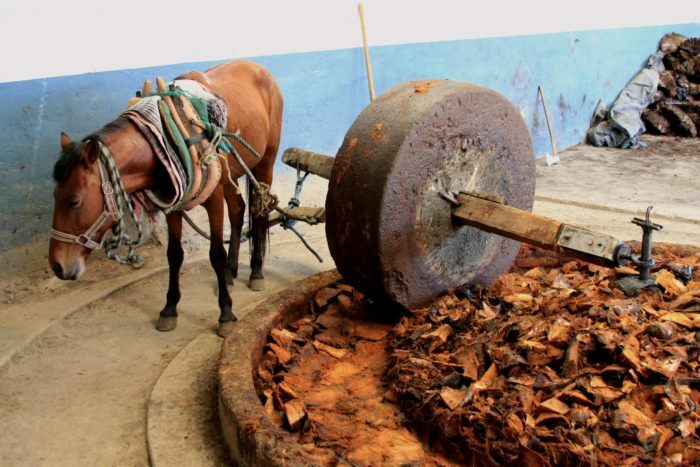 Maguey, which is also known as agave, is roasted and then crushed into pulp in a stone wheel pulled by a horse before being distilled into the drink with an alcohol content of at least 45 percent. 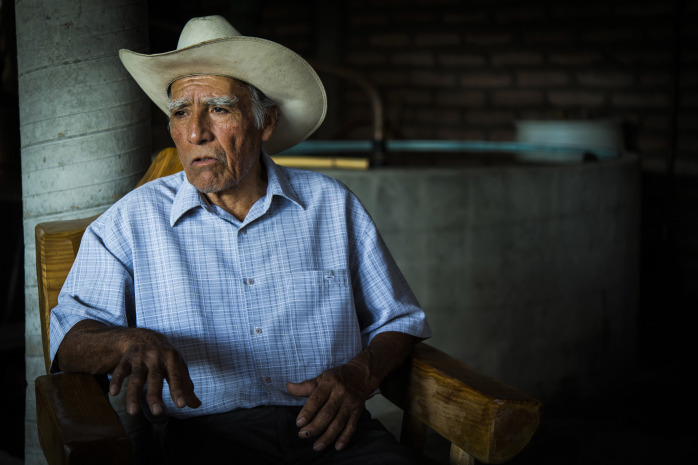 Founded in 1840, the Cortés family owns one of the oldest palenques in the town of Santiago Matatlán, the cradle of mezcal, where workers use axes to cut the tough, green leaves of maguey. Times were tougher just 10 years ago, when many distilleries closed up shop. The Cortés family, however, persevered even when they practically were giving bottles away for free. But distillers say the “drink of the poor and drunks” began to be seen as a boutique booze around 2010, attracting more and more consumers in bohemian bars of Mexico City and abroad. Production soared by 143 percent to 2.5 million liters (660,000 gallons) in 2013 compared to the previous year, while exports jumped by 12 percent to nearly one million liters. Some 105 brands are now sold in 31 countries. 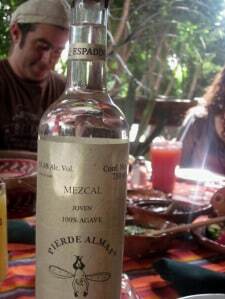 But mezcal still amounts to just 1.1 percent of Mexico’s signature liquor, tequila. The Cortés family exports 70 percent of its production to the United States, Europe and Australia, selling bottles at $100 apiece. Asis Cortés, a 27-year-old in charge of marketing and design, is proud of being part of the sixth generation of the family that produces mezcal. 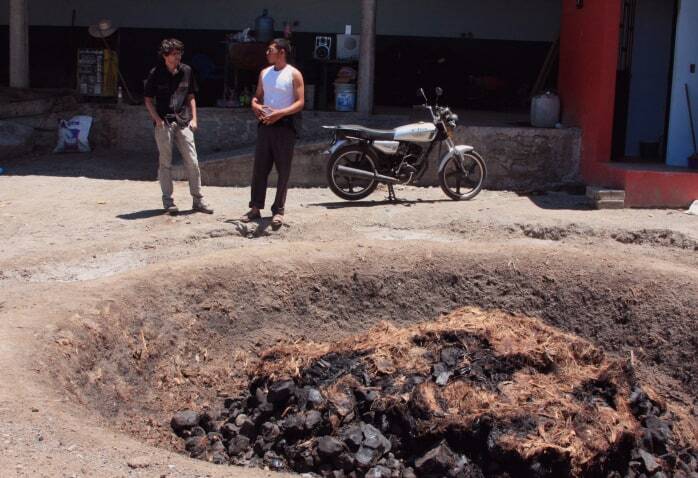 “We are thankful because the people who have been interested in taking mezcal to other countries have been taking it as a drink that is part of our culture, not as a mere alcoholic drink,” Cortés told AFP. 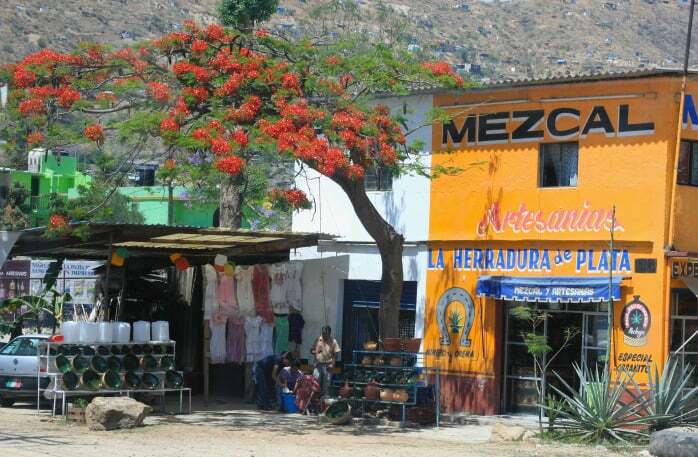 In Oaxaca, which has a large indigenous community, mezcal is seen by many as a near magical gateway “with ancestors, with the land, with the gods and with oneself,” Cortés said. There are more than 30 species of maguey that can produce mezcal but only one type known as espadín is easy to grow, and it takes seven years to mature. The other varieties grow in the wild in the hills and take 35 years to grow. 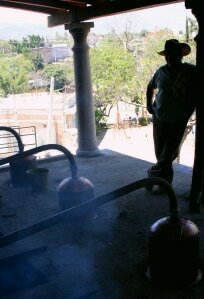 Producing 200 liters under the supervision of a “maestro mezcalero” can take one month. While gourmet markets value such artisanal craft, 60 percent of mezcal is now made industrially in large distilleries as high demand has attracted large drink-makers like Coca-Cola. But the big companies are also betting on the traditional ways of making mezcal. “As a producer, you simply have to tell the big companies how much you can produce so you don’t lose the artisanal aspect,” said Joel Santiago, a maestro mezcalero who makes espadín mezcal for a company linked to tequila company José Cuervo. 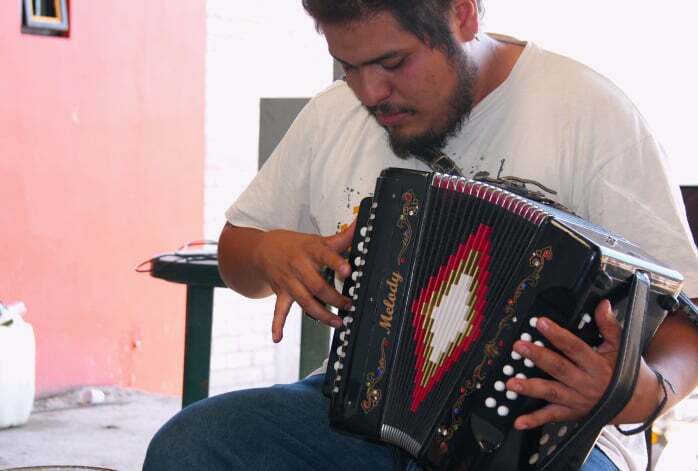 “Thanks to them, however, mezcal reaches any location,” Santiago said. Mezcal is the forefather of tequila, which used to be known “wine of tequila mezcal” until authorities renamed it simply tequila in the 1950s. By law, tequila must contain at least 51 percent of sugars from blue agave, the maguey variety that sprouts all over the western state of Jalisco. 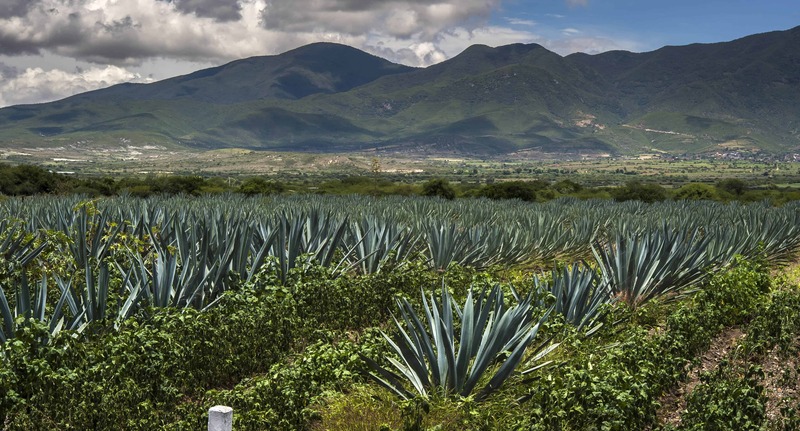 But tequila makers are grabbing maguey from Oaxaca to make their liquor, either to cut costs or because their cloned blue agave are often plagued by disease. Many Jalisco companies that make sweet products like agave honey are also massively buying maguey needed for mezcal production. 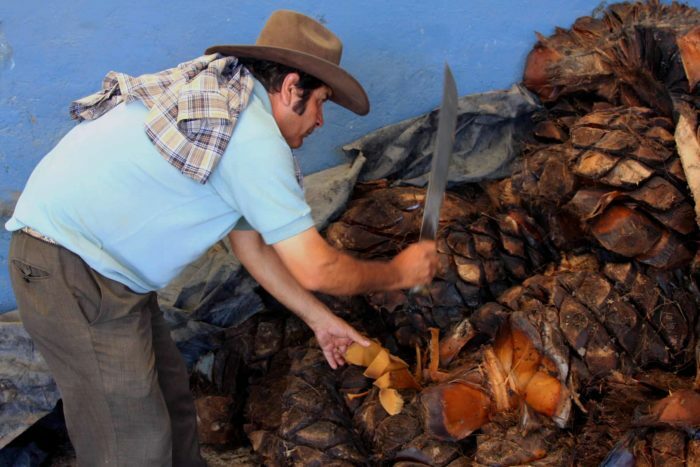 Authorities deny that maguey faces a deforestation crisis but they acknowledge that the booming demand requires them to make better plans for the upkeep of the popular plant.